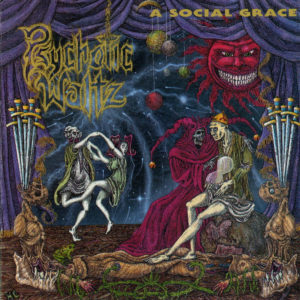 In 1990, they debuted with their independently financed debut A Social Grace, which was released in Europe via a licensing deal with the German label Rising Sun Productions. The album was very well received in Europe, being named album of the month in some European magazines, The situation in the US was more difficult, as the album was released under the band’s own Sub Sonic Records label. With practically no promotion and minimal distribution, it remained an extremely underground item. In 1991, the band appeared at the Dynamo Festival in the Netherlands. After the tour, the band’s guitarist, Dan Rock, suffered a near-fatal accident after falling 40 feet from the underside of a bridge while rappelling. The band went on to record their second album, Into the Everflow. The album was recorded from August–October, 1992, at Phoenix Studios in Herne, Germany, and was produced by Mekong Delta’s main man, Ralph Hubert. After recording the album, but before its release, the band did a small tour while Dan Rock recovered from his accident. The CD was released in Europe on Dream Circle Records, and was very well received, getting album of the month honors in many European magazines. 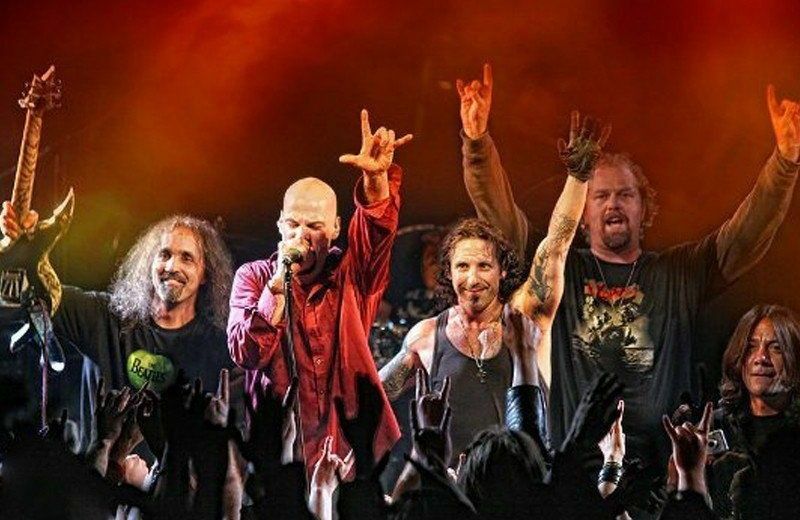 After Rock recovered, the band was nominated as the Best Hard Rock band at the 1992 San Diego Music Awards. By that time, the band was at the peak of its popularity. They signed with Ralph Hubert’s own label, Zardoz Music, for their third album, Mosquito. Recording took place in late 1994 in Record Plant and Madhatter studios in Los Angeles, with the help of the famous metal producer Scott Burns. The initial response for this album was mixed, as the more conventional songwriting that the band followed divided some fans who preferred their more technical approach from earlier albums. 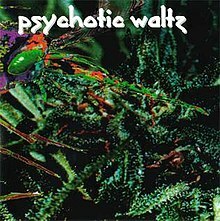 This was the last album that was recorded with their initial lineup, as bassist Ward Evans left the band after two tours in Europe and was replaced with Phil Cuttino. 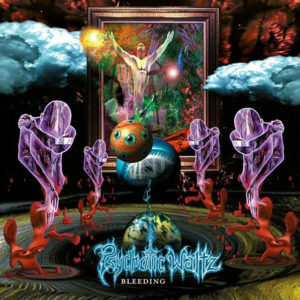 They entered the studio once again in 1996, for what proved to be their last studio work together, Bleeding. This time, Scott Burns did the engineering, but the record was mixed by Dan Rock and engineer Woody Barber. Before the band started touring in support for the new album, guitarist Brian McAlpin announced that he would not be able to follow the band due to familial obligations. He was replaced by Steve Cox for the band’s final two European tours. Phil Cuttino filmed a promotional video for the track “Faded”. This proved to be disastrous for the band, as an actress who appeared in the video sued the band in April 1998, claiming that a light on the set caused her partial blindness. The lengthy court battle that followed, coupled with the different musical interests that the band members had, contributed to the band’s initial demise. Buddy Lackey was the first to leave the band. For a short while, the remaining band members tried to continue with the band, but eventually each went his own way. Rock recorded two instrumental albums with his project Darkstar. Norm Leggio and Steve Cox created the band Teabag, and Buddy Lackey formed the bands Deadsoul Tribe and then The Shadow Theory, where he performed under the name Devon Graves. 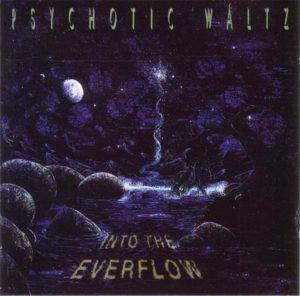 Psychotic Waltz reunited with its original line-up in 2010, touring Europe in support of Nevermore and Symphony X on The Power Of Metal tour, and have played various festival shows. Century Media Records released each of the band’s four albums on vinyl individually, and also created a 6-LP box set titled “The Architects Arise: The First Ten Years” (limited to 500 copies) which contained the four albums plus demo recordings. The band are currently writing material for a fifth studio album, which would be their first release in two decades.